Wood Carving Straight Gouge No. 3 - 1/2"
Home → → Wood Carving Straight Gouge No. 3 - 1/2"
Together with Item No. 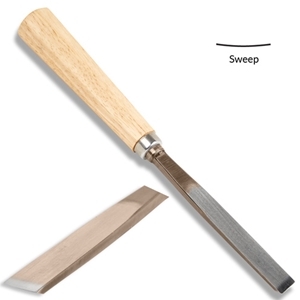 20704 this gouge is ideal for cutting strips into the rind of pumpkins creating unique designs of your choice.